The iOS 12 has just launched and it is a very joyous moment for iOS users all over the globe. Although not all of you are going to update your devices immediately, most of you are thinking of giving it a try. 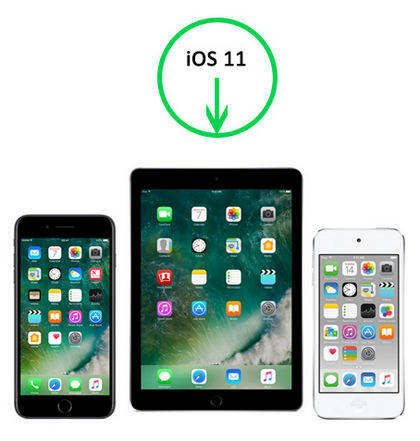 But it is not so simple to update iOS, thus, you need to make some preparations to make sure that your iOS device is ready to take the update. The latest version of iOS comes with several unique features and new privacy settings, so, a lot of things will be at stake when you update the iOS. It is not really easy to make the preparations and not many users know what to do. So, here’s how to prepare your iPhone for iOS 12. If you want to know how to prepare for iOS 12 then the very first thing we are going to tell you is that, check the compatibility of your iOS device to the new iOS 12. If they are not compatible then the update is of no use to you. 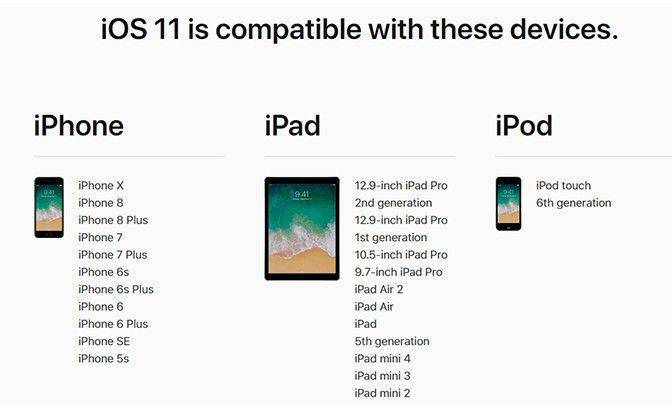 Like iOS 11, the iOS 12 will continue to suppot iPhone 5s, iPad mini 2 and iPod Touch 6th generation later devices. Here is the complete list for your reference. If your iPhone/iPad model is not among the list then, unfortunately, you won’t be able to enjoy the new iOS update. Another important task you need to do if you are going to prepare for iOS 12 upgrade, is clearing space in your device so that iOS 12 can be properly installed. Well, it is common sense that if your device is full then you won’t be able to fit in new things. So, just check the storage space of your iPhone and then if you see that suitable amount space is not available you need to take necessary actions. The required space is 3GB; you can easily get rid of some data or files. First, delete unnecessary or unused apps. Get rid of photos and videos you don’t need. Get a backup to another device like your computer and then delete the necessary data to free up space. But if are you too busy for that then you can simply use Free iCareFone Cleaner! It is a professional tool which comes with an exclusive feature that can help clean up your device and free up space instantly. It will find the unnecessary stuff/junk files/apps/large files etc on your device and then you just have to check the box beside them to delete. Don’t miss this amazing software. Another most important procedure you should know if you want to prepare iPhone for update is back up. It is necessary for you to protect your valuable data and settings on your iOS device as the update will definitely erase all of them. So, it will best for you to back up your data before you begin installing the new update. The backup of your iPhone data can be done using iCloud, iTunes or even the third-party software known as Tenorshare iCareFone. Each of the backup procedure is mentioned below. Step 1: Download the software onto your computer and install it. Step 2: Then connect your device to your computer, when prompted, you have to tap on “Trust This Computer”. Step 3: Now, choose “Backup & Restore” on the iCareFone window. Step 4: Various types of files will be visible to you and all of them will be selected. Step 5: Finally, tap on the “Backup” button below. It is done! It is that easy. A complete backup of your iPhone files will be saved on your computer. You can simply backup your whole iOS device in three steps. Selective files backup is available. It is fast, reliable and efficient. Easy to access data after backup. It is very simple to backup your iOS device on iCloud, just do the following. Step 1: Open your iPhone and head to “Settings”. Step 2: Now, find iCloud there and tap on it to enter. Step 3: Visit iCloud Backup and turn on the feature. Step 4: Finally, tap on “Backup Now”. All of your iPhone data will be saved on your iCloud account from which you will be restoring your device after the iOS update. Step 1: For this, you have to connect your device to your computer. Step 2: Run the iTunes app on your computer and click on the device icon on top of the iTunes window. Step 3: A list of categories will be available on the left side of the window; you need to select “Summary” from it. Step 4: Then you have to select “This Computer” option which will be available under “Automatically Backup”. Step 5: Enable the option “Encrypt Backup” to protect your files from outside interference. Step 6: Finally, click “Back Up Now” and then “Done” after you are finished backing your iPhone. This way you can back up your data on iTunes that can be restored later. If you want to update your apps then you can do it before you update the iOS. Sometimes even the updates of iTunes are available on the internet which we don’t know about. It will be best for you to make sure that all of your apps including iTunes are up to date before you update the Operating System. 2. From the menu bar tap Help and then again tap “Check for Updates”. 3. If an update is available, just follow the on-screen prompts to get the latest version. Every iPhone in the world is protected by a passcode. These particular passcodes are set by the owners of the device to protect the data in case of any critical situation. So, if want to prepare for iOS 12, you will very simply need to memorize two things. The first one is your iPhone passcode and the second one is the Apple ID. These two security codes are very important to you. Once the update is complete, you will need these to access all of your accounts with Apple and to access your iPhone. Unlike other devices, you need to make significant preparations if your goal is to update the iOS. Basically, the preparations are to protect your files and settings. The update to iOS 12 is sure to wipe out everything from your device and all the photos, songs, and videos that you have collected over the years will be erased with the blink of an eye. Another reason is to make sure that update is compatible with the new iOS 12. So, follow the tips above and do the necessary changes and you will be good to go!